Current trends are reinforcing that disasters have multiple facets. Our approach must as well. India saw almost every type of hazard, except for an earthquake, in 2018. From flood to drought, heat and cold waves, lightning strikes, cyclones and even hailstorms, the wide range of disasters impacted most of the country. This multiplicity meant not a month went by without a disaster and their impact is growing more complex. While this multiple event pattern is repeated every year, only a few really capture the public attention. Other risks continue to intensify under the radar. For at-risk communities and affected families, the interplay between dealing with poverty, climate stresses and natural hazards doesn’t have clear distinctions. Yet the discourse of disasters is still too often seen in isolation. 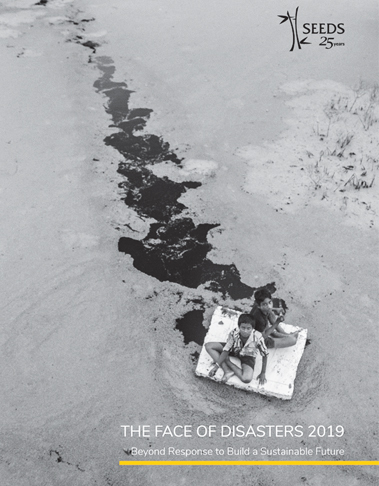 The Face of Disasters 2019 therefore takes a broader view to the issue, building on risk trends, interviews and experiences from the ground to capture its multiple faces. For the risks of the future will be different from the risks of the past. Recognising this and preparing for the unknown will be key to building a safer and more sustainable world.